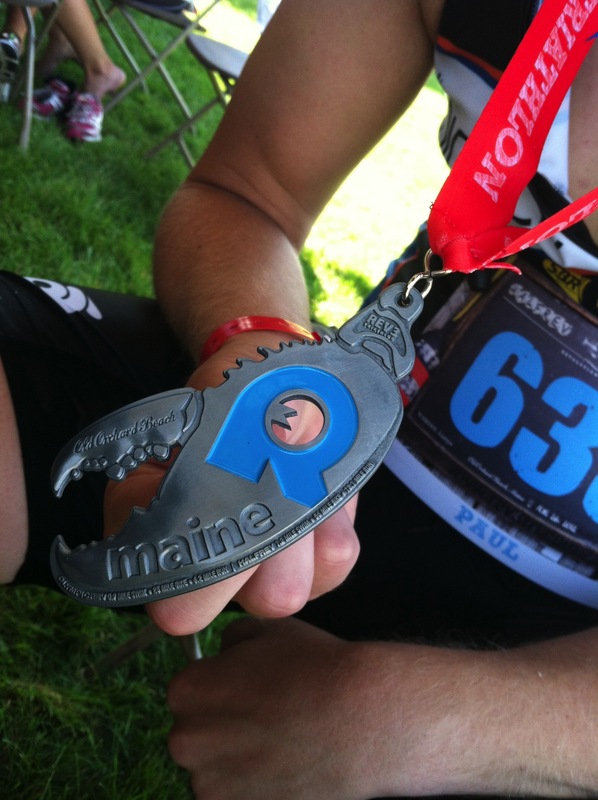 Set in Old Orchard Beach Maine, August 26 marked the date of my first 70.3 triathlon. Going into the race, I was nervous, but mostly excited as I took on the challenge of 70.3 miles covered by swimming, biking, and running. This was also the first longer distance race I would be using my new TriBike for, which was very exciting for me. 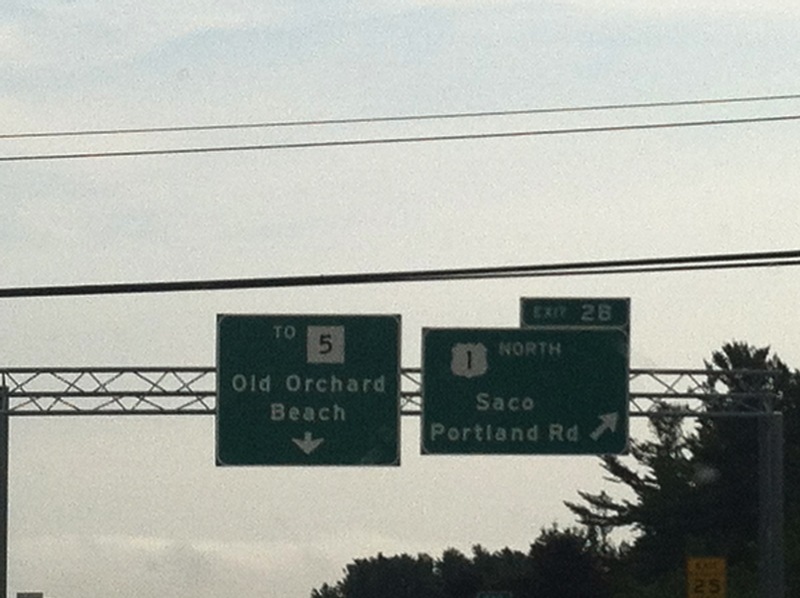 We arrived in Old Orchard Beach Saturday afternoon after spending the night at Amy’s mother’s in Danvers, MA on Friday. We checked into our hotel, The Ocean House, which was right on the beach and only feet from the race’s swim start and unpacked the car. Amy’s cousin, Jamie was doing the Olympic Distance tri so he and his wife, Sam (Amy’s biological cousin) stayed with us on Saturday night in the hotel. We waited a few minutes for them to make their way to the hotel, and after they unpacked their car, we walked over to the race expo with our bikes. We grabbed our numbers, took a finisher’s photo to be displayed as we crossed the finish line, picked up our swag, and checked our bikes into transition. We were just in time for the pro Q&A which was really interesting and a lot of fun to listen to. We stuck around for the athlete meeting and learned exactly what to expect during the race in the morning. After that, we grabbed a quick lunch and went back to hotel room to grab some swim stuff and head to the beach to catch a nice practice swim. The water was pretty rough during the practice swim and I hoped that I would calm down a little before the race in the morning. We probably swam about a half mile to get used to the water and head back in to dry land. We went to dinner with one of Amy’s friend who had happened to be in the area shopping during the day. I had some type of chicken sandwich (I don’t exactly remember now) and plenty of water. That night we went back to the hotel, I took a nice hot relaxing shower and shaved and was in bed by 9:15 ready for my 4:40 wake up call. 4:40 came quickly and I woke up to the sounds of the ocean. I toasted a plain bagel and had it with peanut butter as I sat out in front of our room listening to the ocean and taking in the beginning of the sunrise. I got dressed and put on my number tattoos slowly nudged Amy awake, and once we got her up, we walked over to set up transition. I set up my normal transition area, but kept my shoes off of my bike. I haven’t had enough time to practice getting into them while they are already clipped into the pedals. I forgot my tire pump in my room, but the guy next to me was more than willing to let me use his pump. 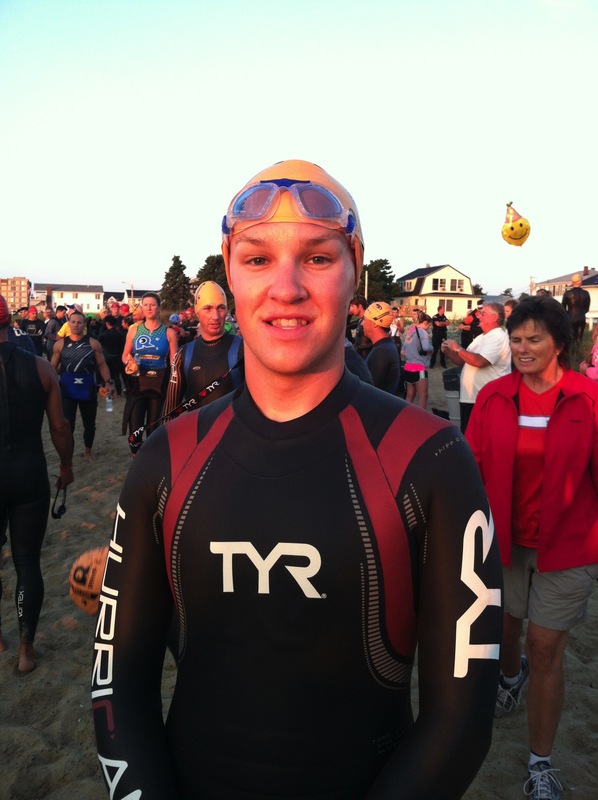 After transition was set up, I wet-suited up and walked my way over to the swim start. The swim featured a beach start for a point to point swim. The half course swam .35 miles out into the ocean, made a 90 degree left turn, swam .5 miles parallel to shore, made another 90 degree turn and then headed back to shore for .35 miles. 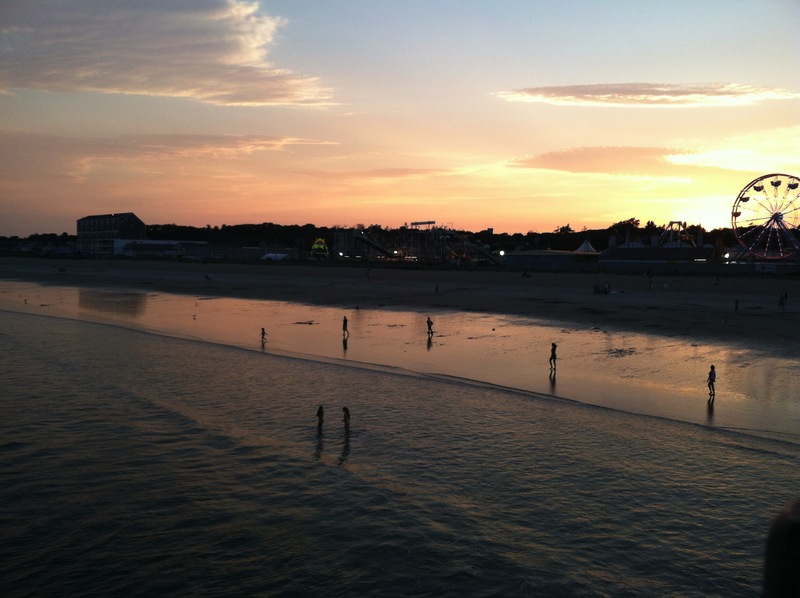 I hadn’t really put any time in the water this summer, at all, but didn’t feel like I suffered too much for it. I really struggled with my sighting however and found myself off course a few times which added a few minutes to my time, but overall I was satisfied with my time, and the swim was a positive start to my first 70.3. The bike leg was probably one of the most fun bike courses I have ridden in a race yet. 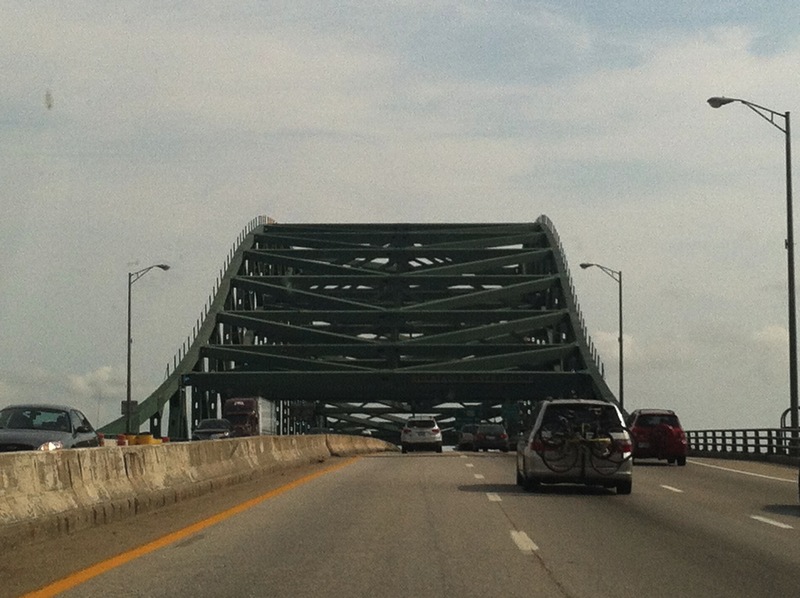 The course took us on a 56 mile tour of the maine countryside and farmland. A great majority of the course was guarded from the sun with tall trees. There were three aid stations on the course and this was the first time I have ever done a bottle handoff on the bike. The first time I was nervous and thought I was going to drop the bottle o the exchange, but by the third station, I was a pro! There were a few rolling hills on the course as well as one or two quad busters. Overall I thought the course was a ton of fun and really enjoyed it. Coming back into transition, I slipped one foot out of my bike shoe, but the dismount line came up on me fast, and i was only able to unvelcro my second shoe so I had to unclip it and dismount my bike one shoe on one shoe off. I took the other shoe off at the dismount line, and ran back to my rack shoe in hand. I reracked my bike, and put on my running shoes and hat and head out to the run course. Ah, the run…for once I am relatively pleased with my run. Could it have been better, absolutely but for me, I was pretty happy with my run because it allowed me to finish inside my goal time of 6:30. The run was an out and back which started with about a mile and a half on the roads and then turned into a nice trail for the next five miles, turned around and ran back to the finish. I did a combination of running and walking and did my best to stick to a run 5 minutes walk one minute routine. 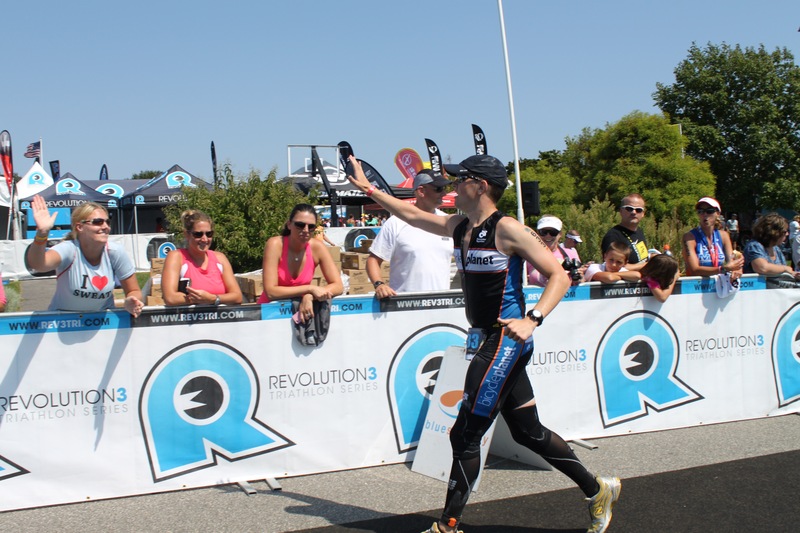 For the most part I stuck to this plan, but at times ran more than my 5 minutes with a few people I met on the course as we talked about our experiences in triathlon. I crossed the finish line in 6:27+ which was under my goal of 6:30. Awesome! Found Amy waiting in the finish chute and made sure to give her a high-five! High-Fives are still cool right? I absolutely loved my first 70.3, and certainly see more in my future. I was very happy with my time, but certainly left myself a lot of room for improvement. The next distance to tackle is the 140.6! 2013? We’ll See! !